For Trade. 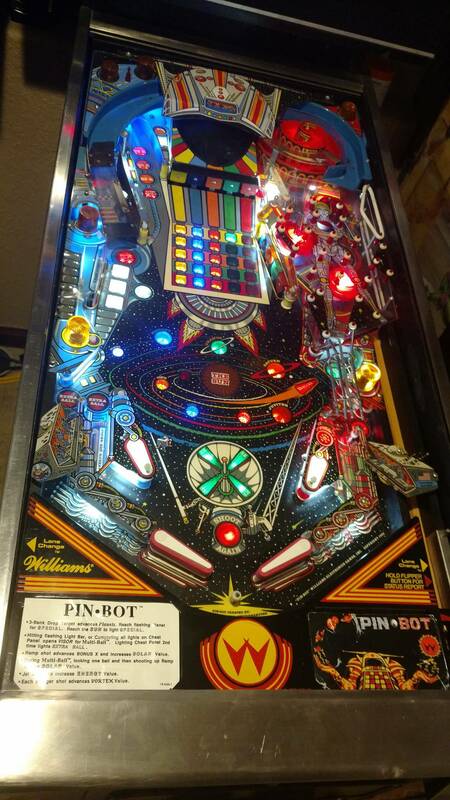 Looking PinBot Pinball machine by Williams for TRADE. Fully working, Plays Great. 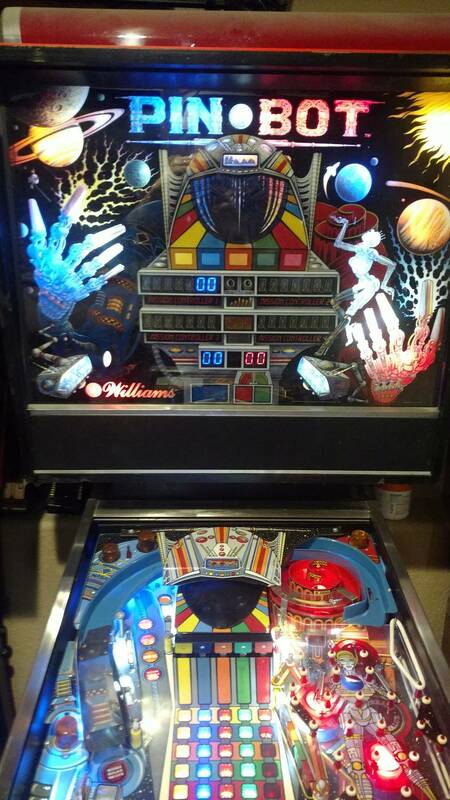 Looking to Trade for late era Williams, Bally, Data East or Sega pinball machine like Bram Stoker's Dracula, Revenge From Mars, , Judge Dredd, The Getaway, Johnny Mnemonic, Fish Tales, Demolition Man, Black Knight 2000, Mousin Around, Space Station, Back to the Future, Teenage Mutant Ninja Turtles, GoldenEye, Starship Troopers, Twister, and others. All LED bulbs throughout except the flashers. 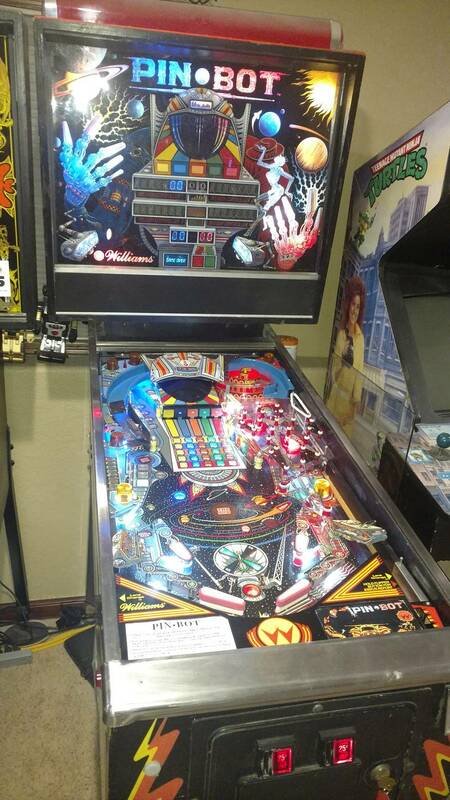 Rottendog power supply upgrade and Red/Blue Xpin LED score display upgrade. 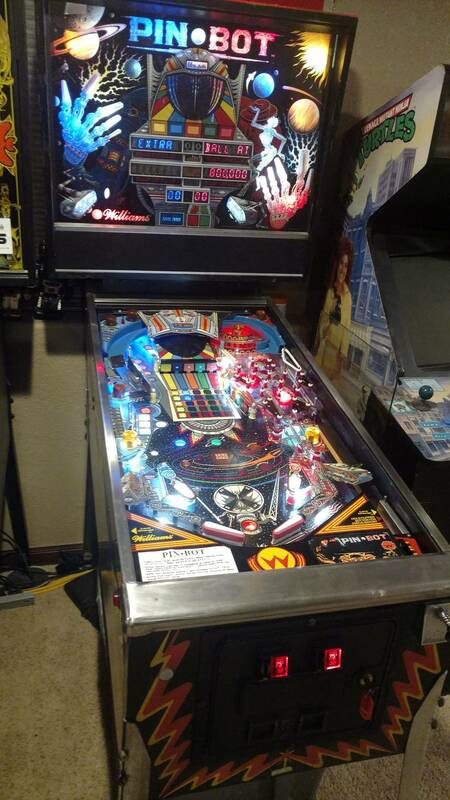 Has original manual and schematics. Was touched up and clear coated by previous owner but cabinet has not been restored. Rear or the visor topper is cracked on one side but not visible unless viewed from the back. These are vintageclub's all time market stats.